With fast paced environments, restaurants run at a high risk of errors. Unfortunately, errors are bound to happen to some extent. It is when they become so prominent that they being eating up profits, you have a problem. 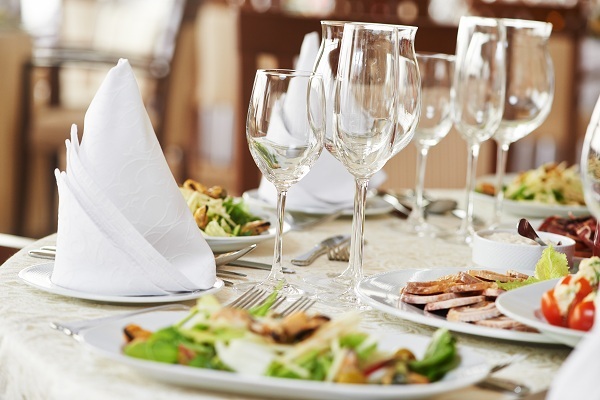 However, with the right restaurant technologies in place, error and food waste can be minimized, your average ticket size can be increased, and your table-turnover can be improved. Four critical restaurant technologies are listed below. A growing restaurant technology trend right now is tablet point of sale. Tablet POS is extremely versatile, and adding a tablet component to your existing POS system will drastically reduce errors and waste and boost customer satisfaction. Equipping servers with tablets allows orders to be entered tableside. This automatically decreases the chance for order errors while simultaneously speeding up the ordering process. It also hastens food preparation as the orders are sent directly to the kitchen with the first order exchange from customer to server. Tablet POS can also be used for pay-at-the-table applications. This effectively busts lines and eliminates the sour taste a long wait might leave in customers’ mouths at the end of an otherwise delicious meal. Restaurants that operate from servers have to worry constantly about their servers going down and making their POS systems temporarily unusable. This spells disaster for business as customers grow frustrated and angry as they haven’t been able to place an order or pay a bill. Cloud-based management restaurant technology ensures that your business is safe. Because cloud-based management software doesn’t rely on a network server to keep you operating, it runs independently and keeps all sales data stored locally until it is sent to the cloud. Information can be set to send to the cloud intermittently throughout the day, at the end of the day, or at the end of the week. In a world where customers can find everything they want at the touch of a finger, restaurants that don’t offer online ordering capabilities are foregoing a substantial second revenue generator. This restaurant technology is critical if you want to deliver a full dining experience to your customers. When the weather is poor, a loved one is ill, or if your customer just doesn’t feel like getting out of their jammies that day, online ordering is a great way to expand your profits. Many POS software vendors work with partners to deliver restaurants with online ordering capabilities. Implementing restaurant technology for a customer loyalty program is a fantastic way to boost the frequency at which customers visit, as well as to increase average ticket size. According to the National Restaurant Association, 57 percent of adult consumers are more likely to frequent restaurants that offer some type of customer loyalty program. As with online ordering, most POS software vendors work with partners in order to provide their customers with great loyalty program capabilities. If you haven’t implemented this essential restaurant technology yet, you could be missing out on a fair amount of dollars from repeat business. Utilizing these four basic, yet essential, restaurant technologies will generate repeat business, increase your average ticket size, improve table-turnover, reduce food waste, eliminate IT issues and minimize order errors. Can you really afford to go without them?